Doors Open 7.30pm, Showtime 8.40pm - 10.40pm (with intermission). 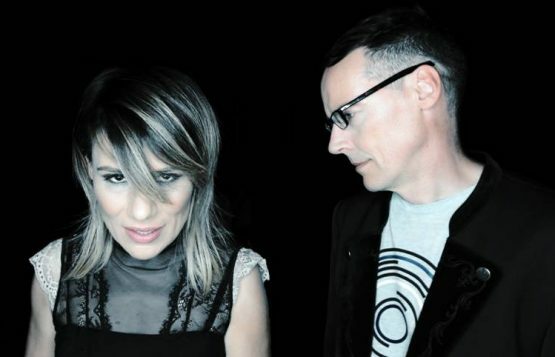 Bachelor Girl is one of the biggest and most loved Australian acts of the 90’s and early 2000’s, enjoying international acclaim particularly in Asia, Scandinavia and the U.S. Standing out with their exceptional songwriting and Tania’s warm, powerful vocals, APRA recently reported a massive achievement for the band – their hit single “Buses and Trains” being the most played Australian composition on Australian radio in the last 25 years. 2019 sees them returning to live gigs, with a string of scheduled recording releases promising an exciting return for this iconic band. Bachelor Girl is an Australian pop duo formed in 1992 by Tania Doko as vocalist and James Roche as musician, producer and arranger. Their 1998 debut single “Buses and Trains” was a top 10 hit in Australia and New Zealand; it peaked in the top 30 in Sweden and charted in the United Kingdom. “Buses and Trains” was also the most played track on Australian radio in 1998. The follow up single “Treat Me Good” reached the top 40 in Australia and New Zealand. Their debut studio album, “Waiting For The Day” was released in 1998 and reached the top 20 on the ARIA Albums Chart and achieved platinum certification. In May 1999 their third single “Lucky Me” reached the top 50 in Australia and New Zealand.